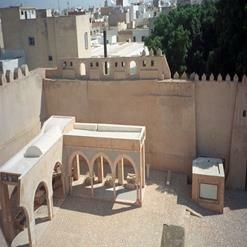 Filming locations for The English Patient, Blacksmith's Souk (Souq des Forgerons) (inside the Medina, near Bab Jebli). Inside this souk is where Almasy gave Katherine a silver thimble of saffron. It no longer houses the blacksmiths, and as of Spring '09 is being remodeled around retail.